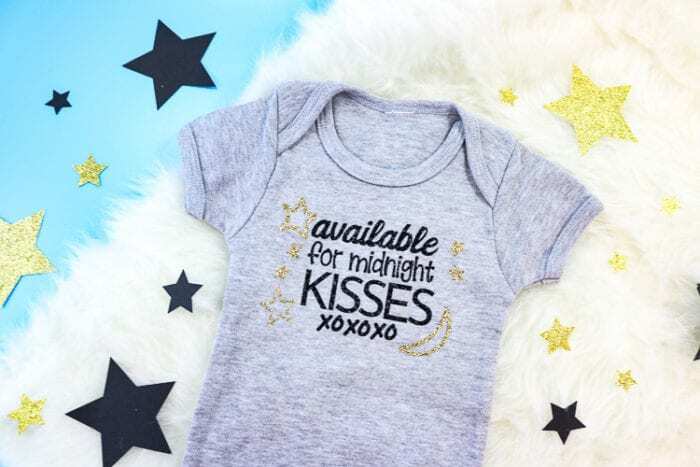 If you have a new little one this year, this New Year’s Eve Baby Bodysuit SVG is perfect! I am even making a T-shirt for my smallest dude! Ring in the new year with your night-time buddy! Read on there are 11 MORE FREE New Year’s SVG’s also! This post contains affiliate links. Using these links I earn a small commission at no additional cost to you. 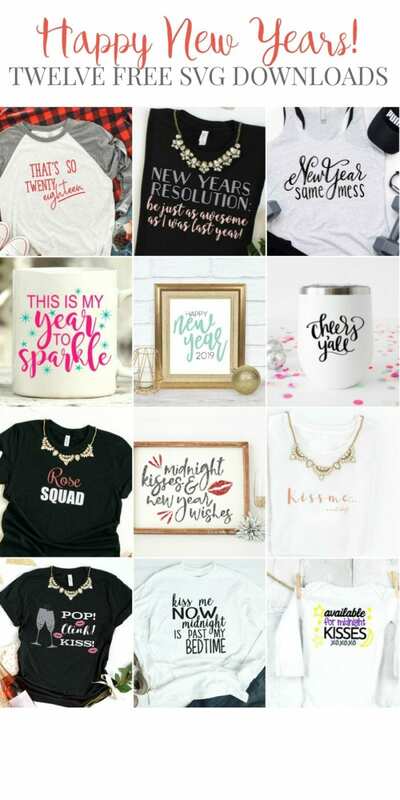 You can find all my favorite Cricut Supplies AND blanks to personalize here. If you are new to your Cricut or Iron on you can check out my detailed posts on the machines, cutting iron on and applying iron on here. Upload the SVG to Cricut Design Space. Size according to your shirt. Click Make it and select your machine and material. I used Glitter Iron on for mine. Don’t forget to MIRROR your design on the mat screen for iron on! Cut your designs and weed the excess iron on away. You can find the recommended EasyPress Settings here. Now you have a fun and cute baby bodysuit for your favorite little buddy! Check out the other free SVG’s as well!